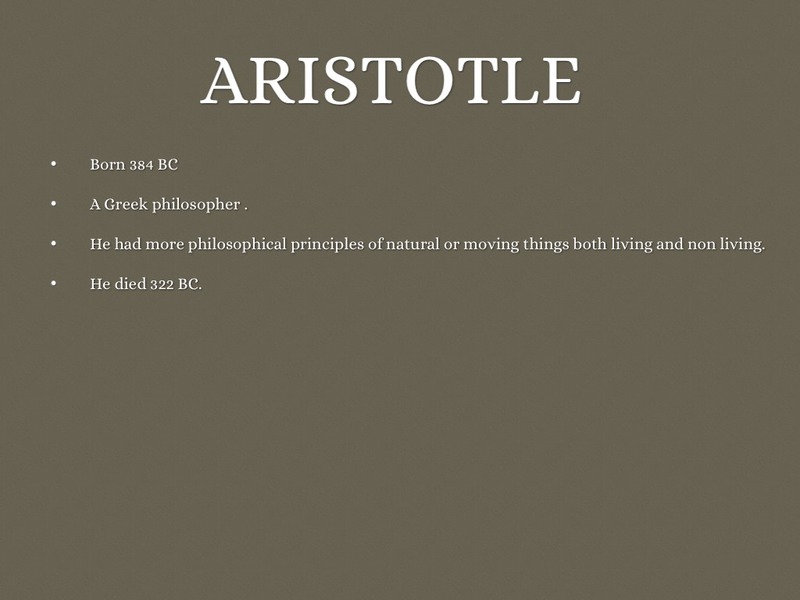 He had more philosophical principles of natural or moving things both living and non living. Born August 26, 1743 in the France. 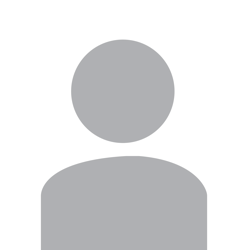 In the year of 1778 he recognized and named oxygen and hydrogen in 1783. 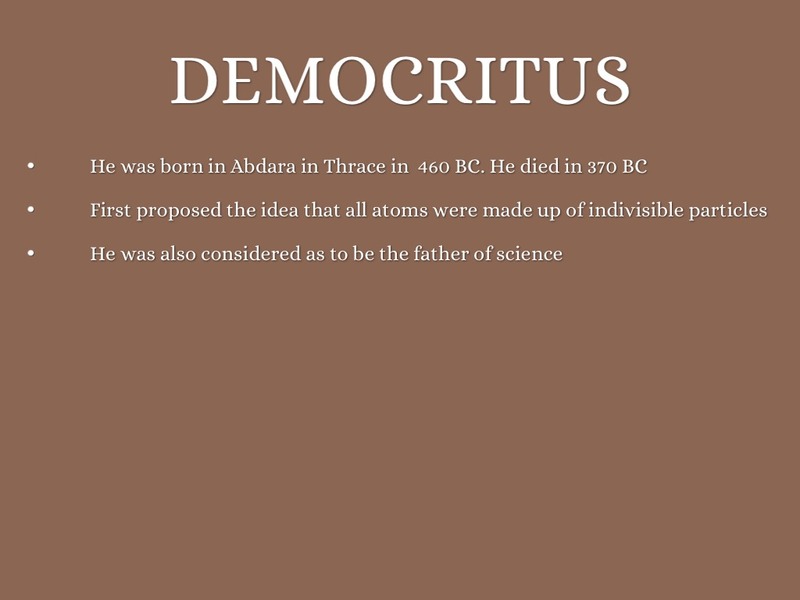 He helped construct the metric system and wrote the first extensive list of elements. 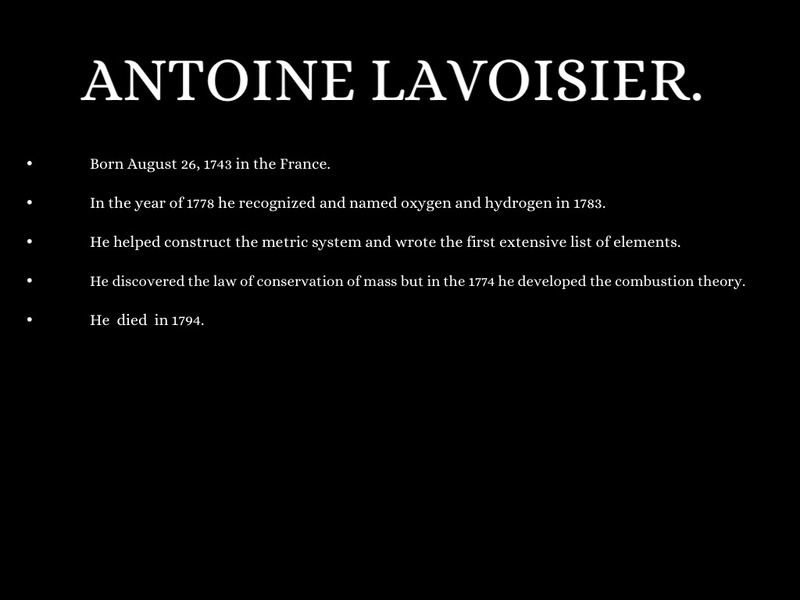 He discovered the law of conservation of mass but in the 1774 he developed the combustion theory. 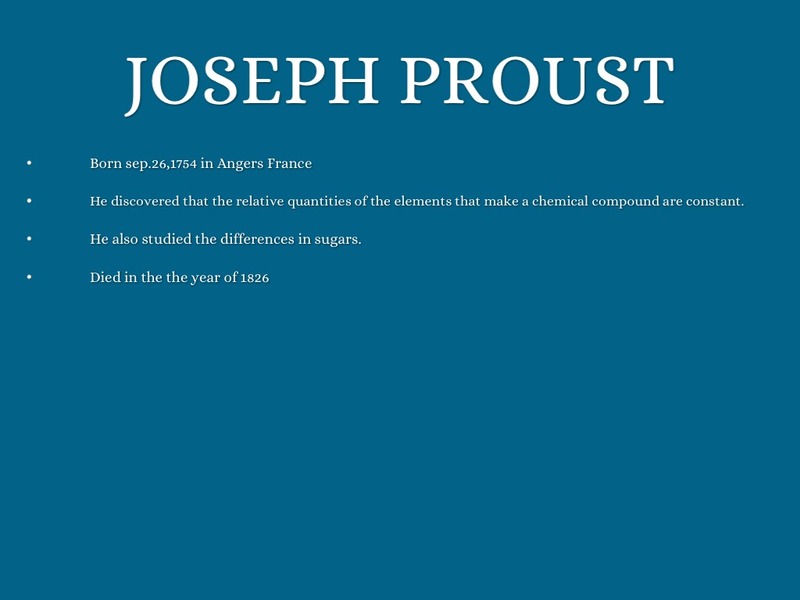 He discovered that the relative quantities of the elements that make a chemical compound are constant. He also studied the differences in sugars. 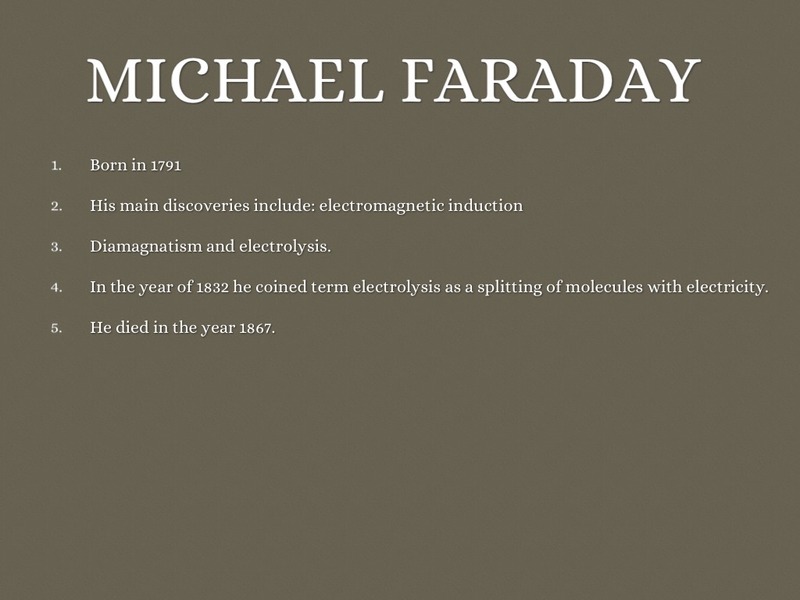 In the year of 1832 he coined term electrolysis as a splitting of molecules with electricity. He died in the year 1867. 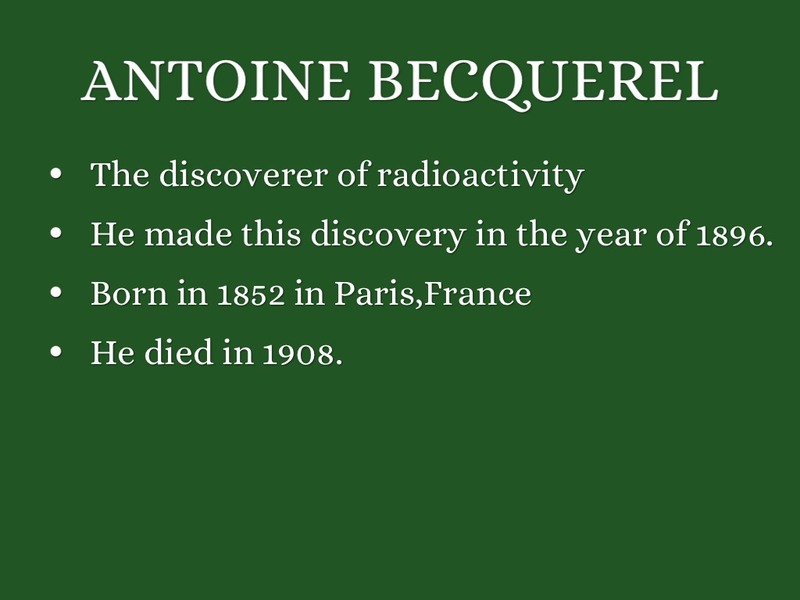 He made this discovery in the year of 1896. Born in 1856 in England. He discovered the electrons while studying a CRT. 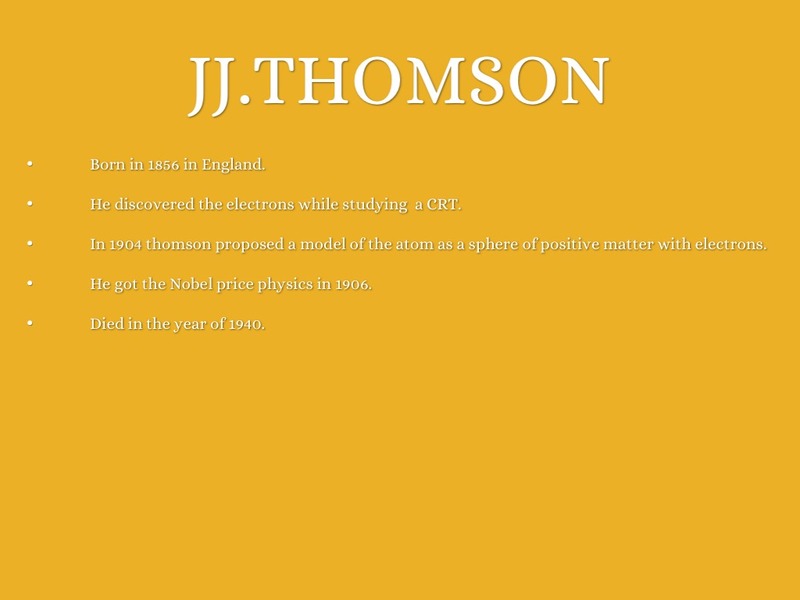 In 1904 thomson proposed a model of the atom as a sphere of positive matter with electrons. He got the Nobel price physics in 1906. Died in the year of 1940. 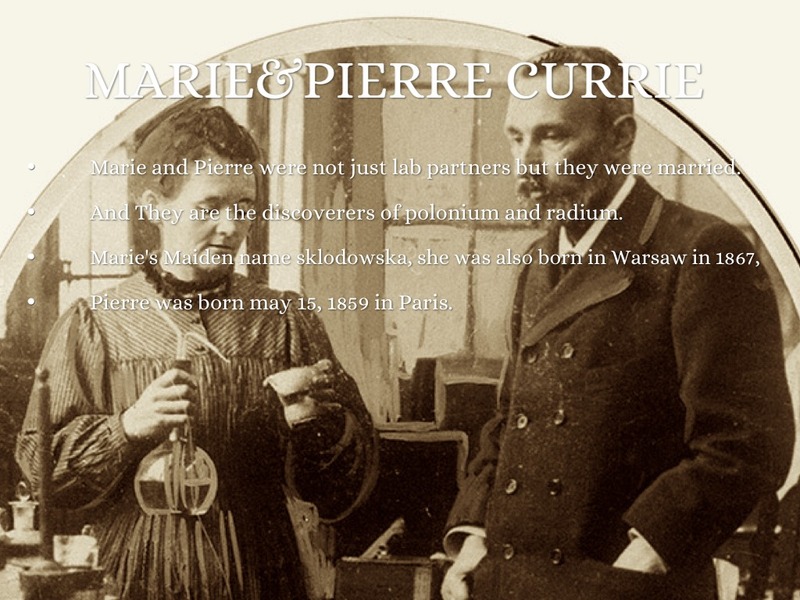 Marie and Pierre were not just lab partners but they were married. And They are the discoverers of polonium and radium. Pierre was born may 15, 1859 in Paris. 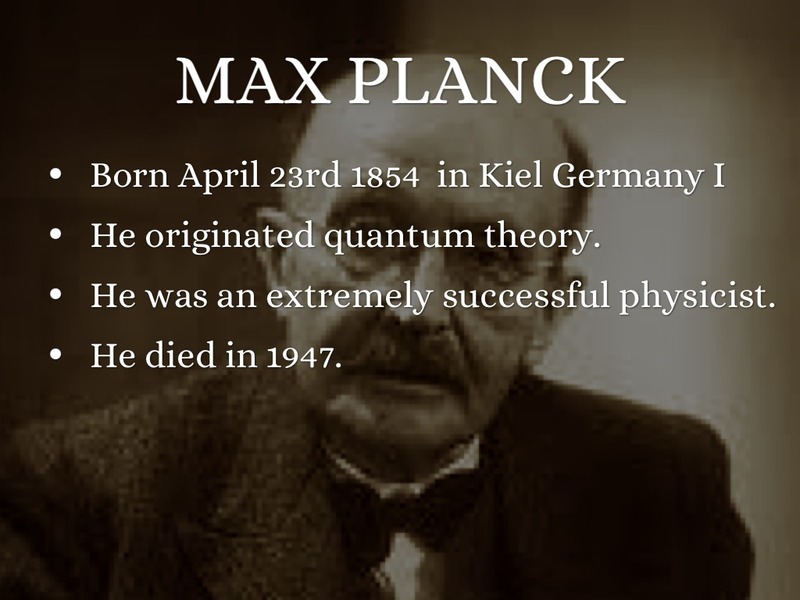 He was an extremely successful physicist. 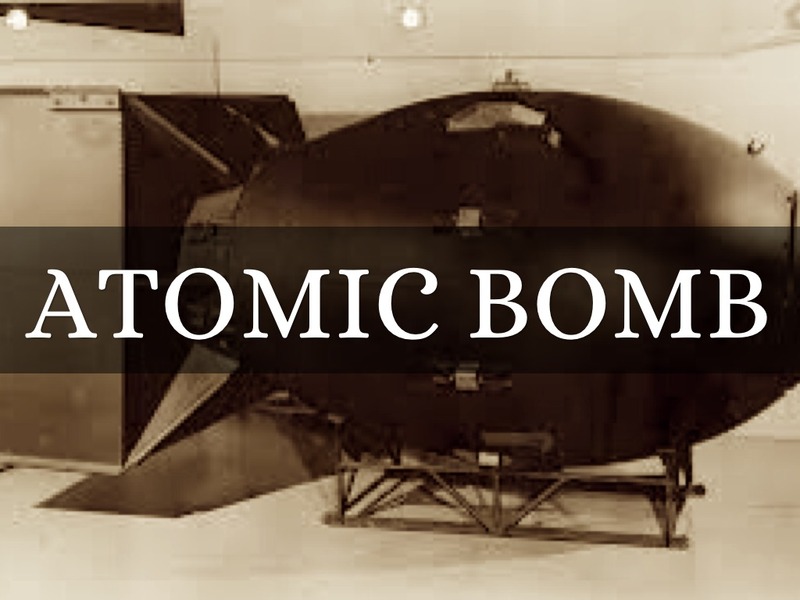 He made the first atomic bomb because published E= mc^2. He discovered this in 1905. Born in 1871 in spring grove New Zealand. 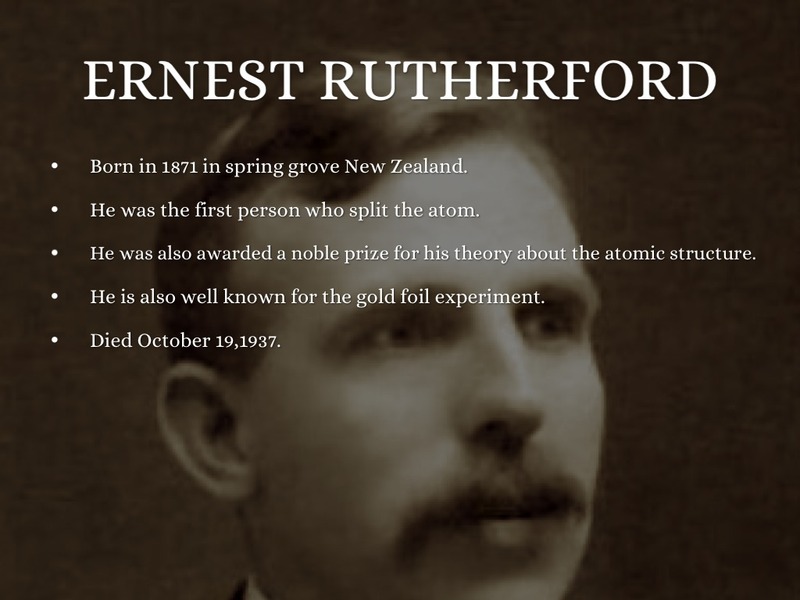 He was the first person who split the atom. 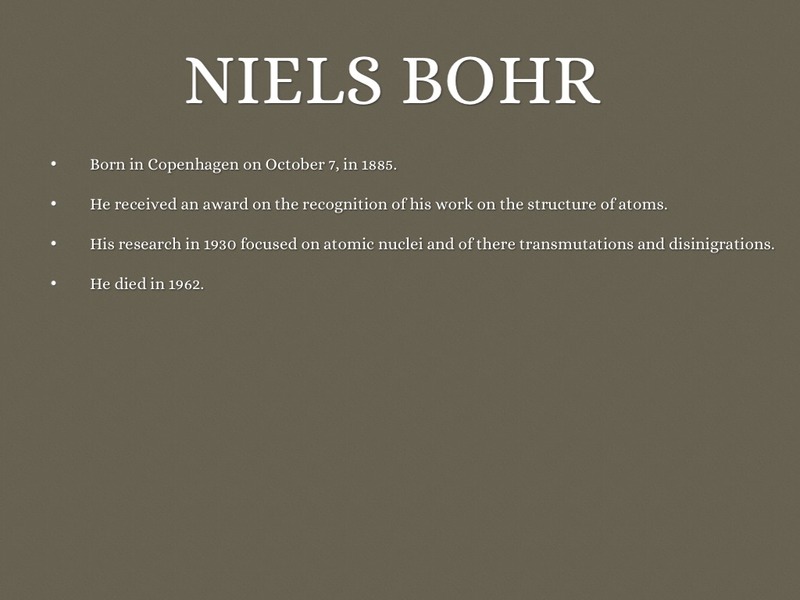 He was also awarded a noble prize for his theory about the atomic structure. 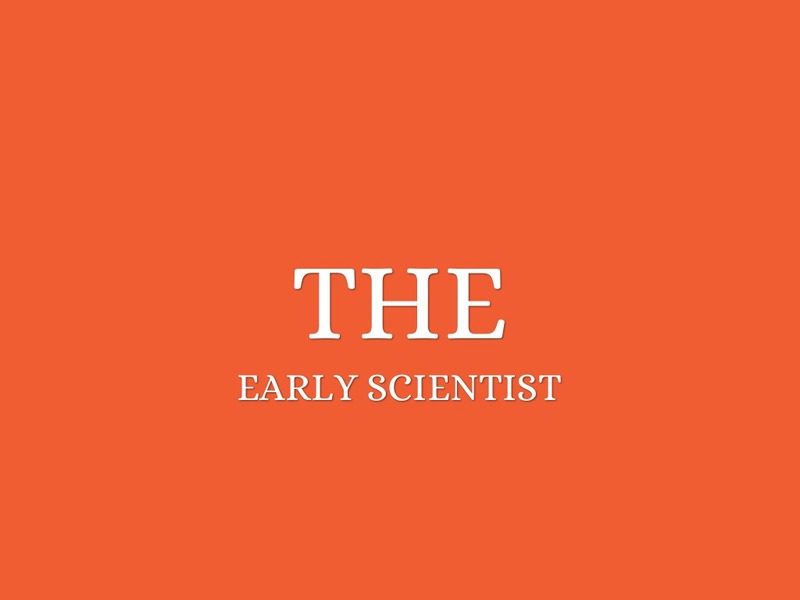 He is also well known for the gold foil experiment. 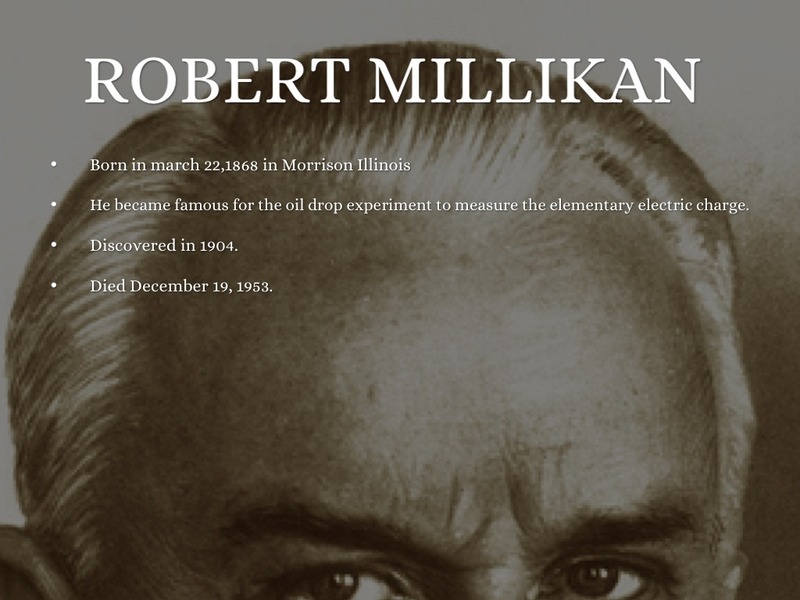 He became famous for the oil drop experiment to measure the elementary electric charge. Born in Copenhagen on October 7, in 1885. 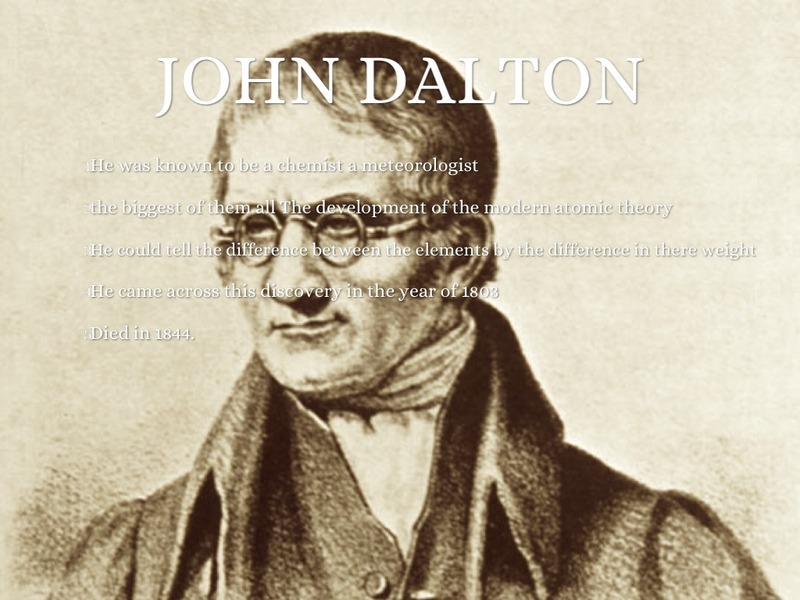 He received an award on the recognition of his work on the structure of atoms. 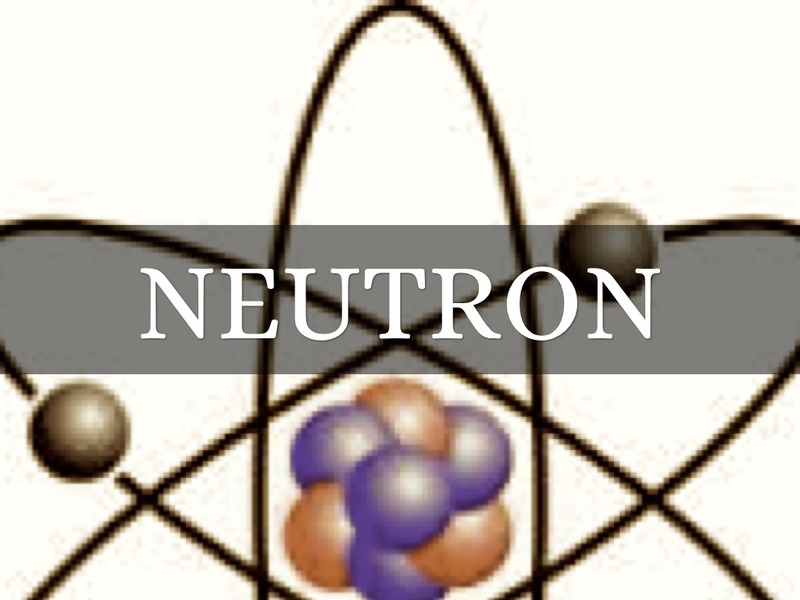 His research in 1930 focused on atomic nuclei and of there transmutations and disinigrations. He was born October 20th 1891. 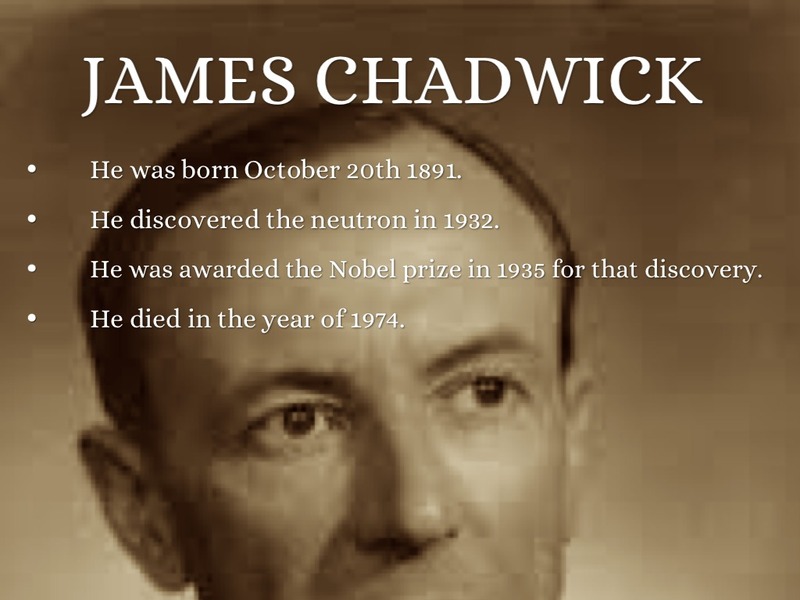 He discovered the neutron in 1932. 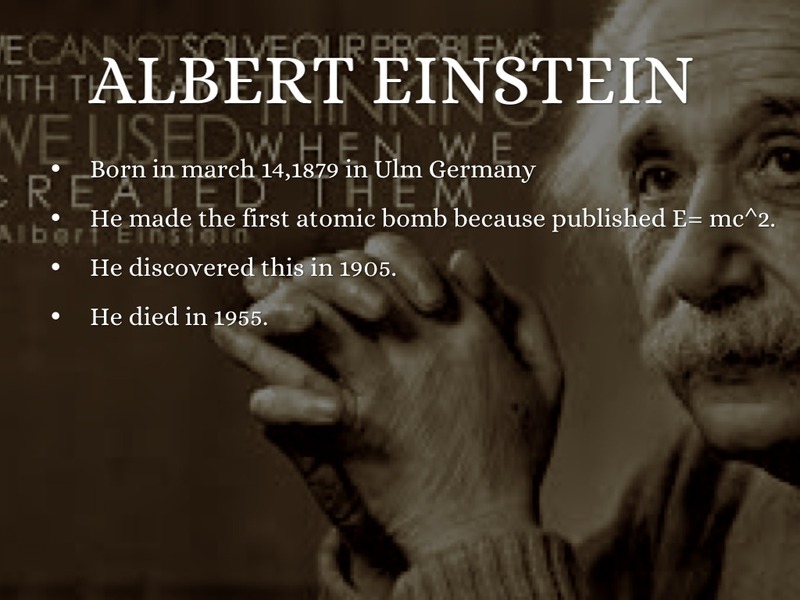 He was awarded the Nobel prize in 1935 for that discovery. He died in the year of 1974.